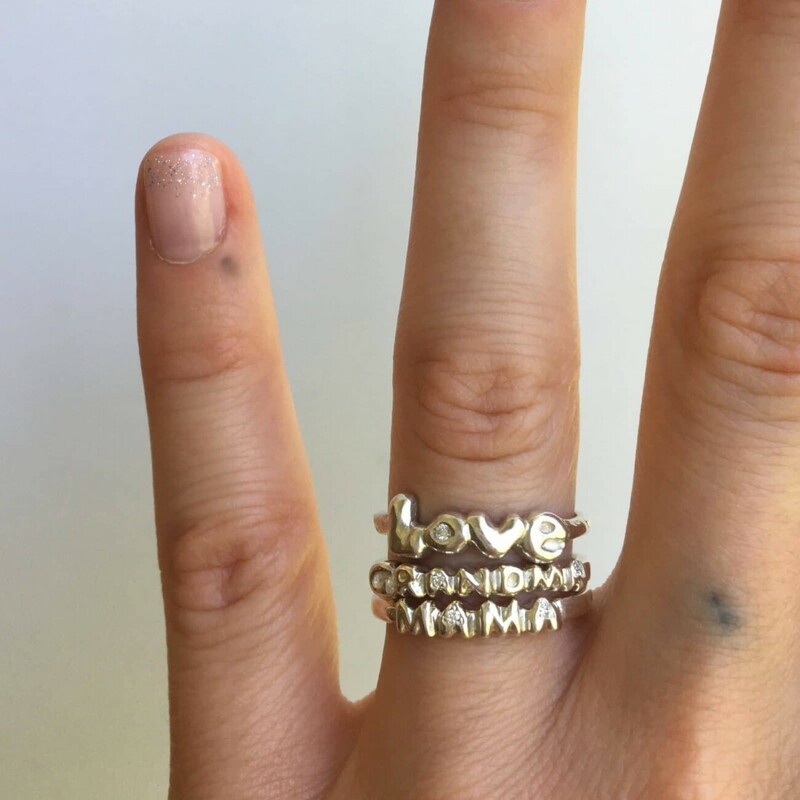 This sentimental ring celebrates grandmas. 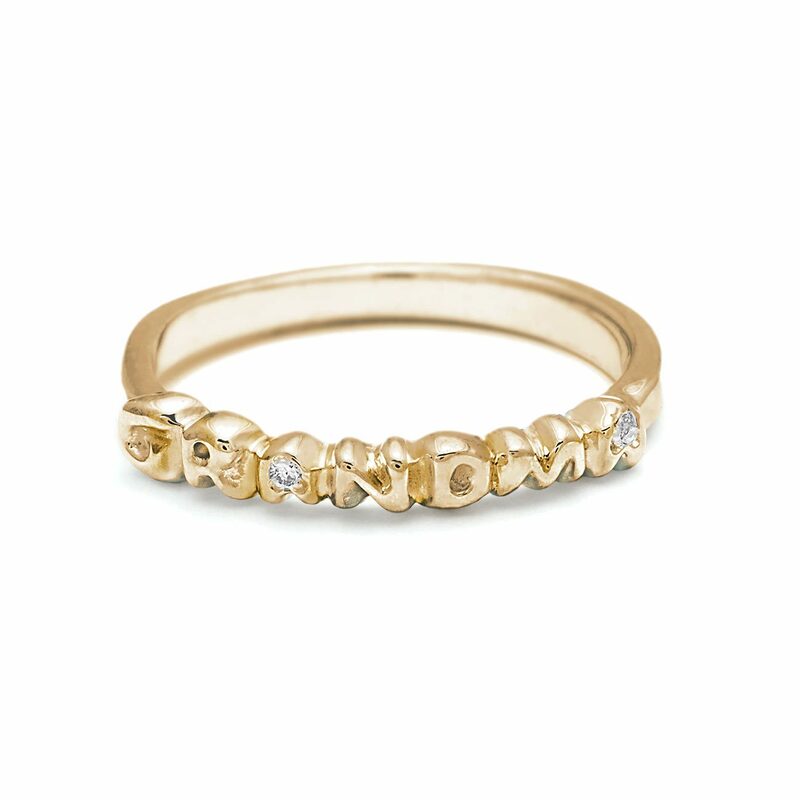 The hand carved “GRANDMA” band ring is set with two 1mm white diamonds. Handcrafted by Elisa.